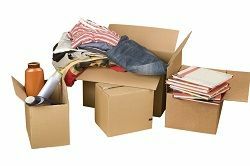 If you are moving to Eltham, SE9 and if you feel nervous about having to actually remove all of your personal possessions (and make sure they get to their destination in one piece), Moving Service can help you. Contact us on 020 8746 4402 and learn more about the great services we offer to all of those moving in and out of the area. We are a professional removals company in Eltham that can help you move your things safely, rapidly and hassle-free. We can provide you with a lorry or man with a van in SE12 area (according to the size of your current house or apartment) and we can also bring in some professional movers to help you out too (just let us know how many of our movers you will need and we will book them for you). Furthermore, if you need to buy packaging materials, we can help you with that too – again, just let us know and we will deliver them, too. On top of everything, we are excellent at packing and unpacking our customers’ belongings – and if you need us to help you with this, we will be more than happy to do it. 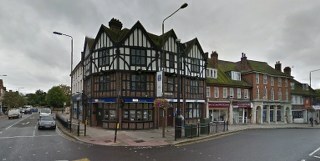 The area is an exquisite and elegant suburban district located in the South East of London (in the London Borough of Greenwich, to be more precise). Even if you judge it by the fact that the area has its own castle, this is a splendid place to move in and if you are among the lucky ones who will be living here, you should definitely be proud of it. The suburb itself has a long history behind it and the first mentions of settlements in the area go as far back as the 6th century. As the suburb developed more and more, it started to gain an important strategic role as well – especially due to the fact that it is located on a high and sandy plateau. The architecture in the area is splendid and varied and your eyes will definitely be pleased by this. The beginning of the 20th century pushed the area even more into urbanization and these days, you can find almost anything you want in the area. And even though pubs have been forbidden here for a long time, you can expect at least one to open soon due to the changes in the administration. Moving can be a terribly stressful experience even if you are moving just three blocks away – not to mention when moving into an entirely different area or even a country. When that happens, asking for a professional company’s help is more than necessary. Here at Moving Service, we believe in being reliable and helpful for our clients and we believe in giving everything we can to make the entire home removal easier and less stressful for you. Our customer representatives will answer any questions you have from the moment you call us on 020 8746 4402 and we will ensure our professional movers in Eltham, SE9 are there in time for the big moment. Our lorries and removal vans are equipped with GPS and all the other tools needed to ensure the smooth going of the entire process and our movers have the experience and the know-how that will lower the chances any kind of accidents happen. If you want your personal belongings to be carried away by real professionals, if you want to avoid them getting scratched or even broken and if you want to avoid accidents that may hurt you or the friends helping you move, we can help. Allow us to make the house removals process around SE12 area easier on you!